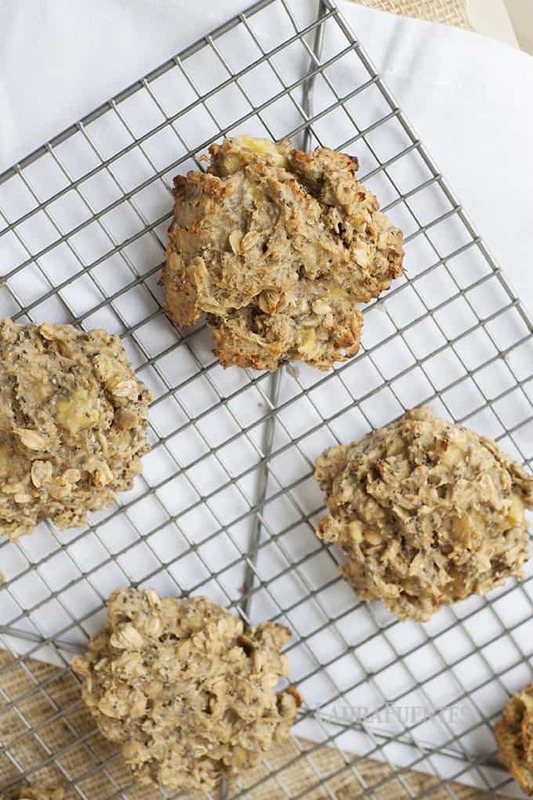 Today’s lunchbox cookie recipe is for days where you can’t decide whether to add a granola bar or a cookie in the lunchbox; except this recipe is much healthier than anything you’ll find pre-packaged in any grocery isle. Do you ever look at a packed lunchbox and think to yourself: “I have to add something else in here” or, “I need to a small something for snack time.” And then, you proceed to head over to your pantry and eye the options. 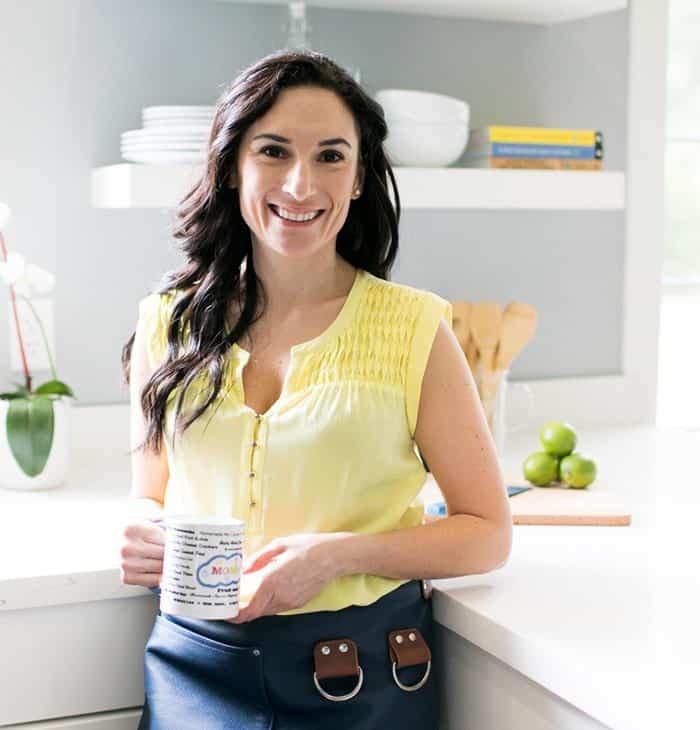 I’ve experienced this scenario often -a lot actually- until I decided to write a 240-page book on snacks I hadn’t really thought about how simple and easy it really is to create wholesome snacks from the ingredients most of us already have in our pantry. 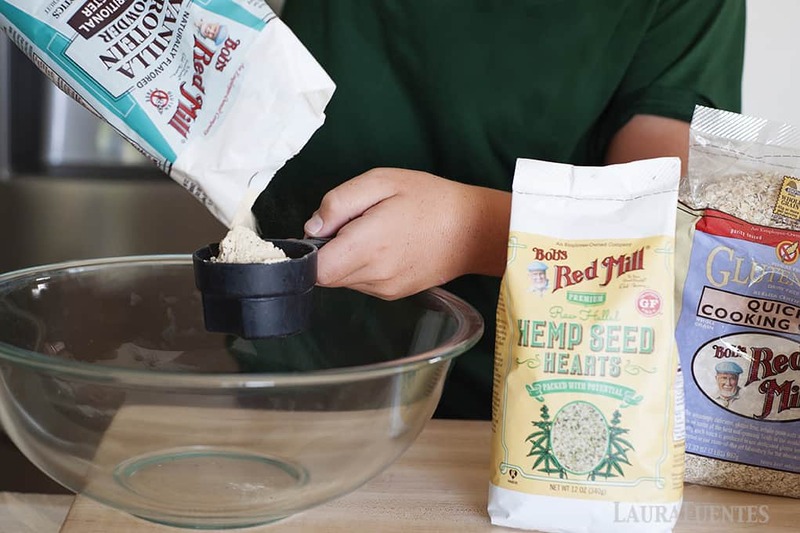 I’m so excited to partner with Bob’s Red Mill for this recipe because their wholesome ingredients were already on my shelves. They are ingredients that I often use, to create the recipes you see on this blog, my cookbooks, and on a daily basis. 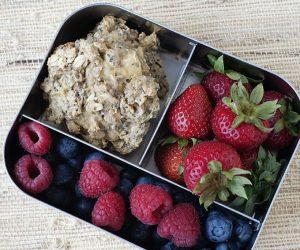 When I set out to make this lunchbox cookie, I wanted it to be high in nutrition, since our kids often will eat their “treats” first and not always finish the other items sent in the lunch bag. 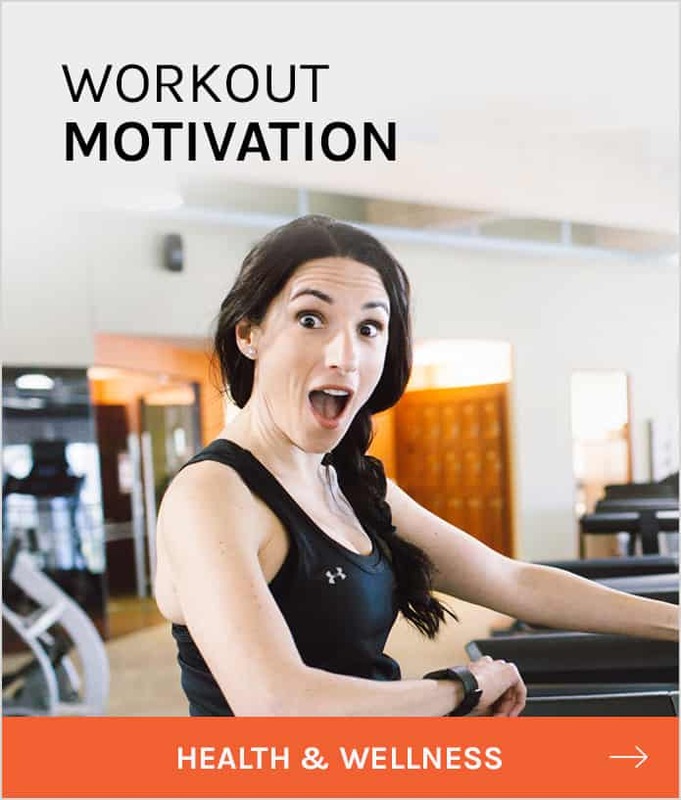 I experimented with Bob’s Red Mill Vanilla Protein in and out of the recipe -I even substituted it with the Chai flavor- and ultimately the taste testers (the kids) decided that the protein added a delicious flavor naturally. Check out how easy these cookies are to make in this fun short video I made with one of my kids. 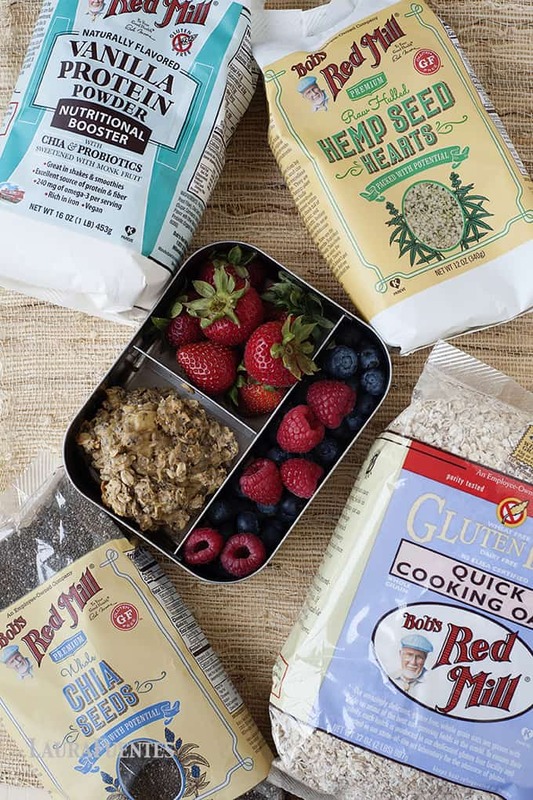 I love that Bob’s Red Mill produces simple, unrefined wholesome whole-grain foods that are low in cost and high in nutrition and fiber. 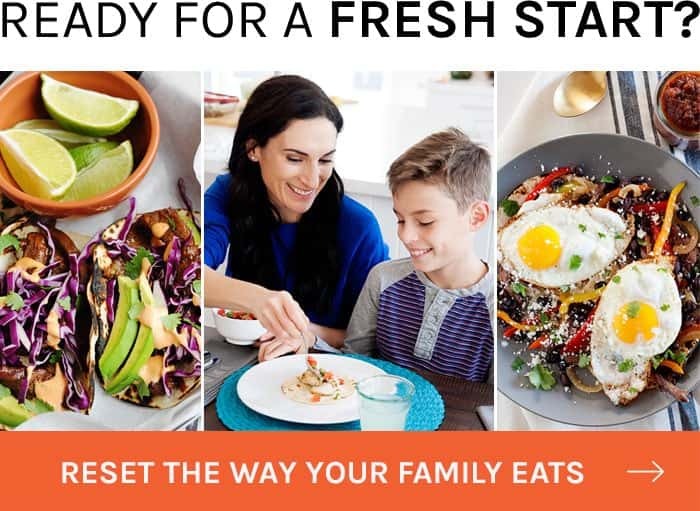 With hundreds of unique products, they have been able to meet the needs of master chefs and homemakers alike; and keeping my pantry stocked with their products is never an issue since I find every ingredient I need at my local grocery store, on Amazon, and on their website. Back to the cookies. 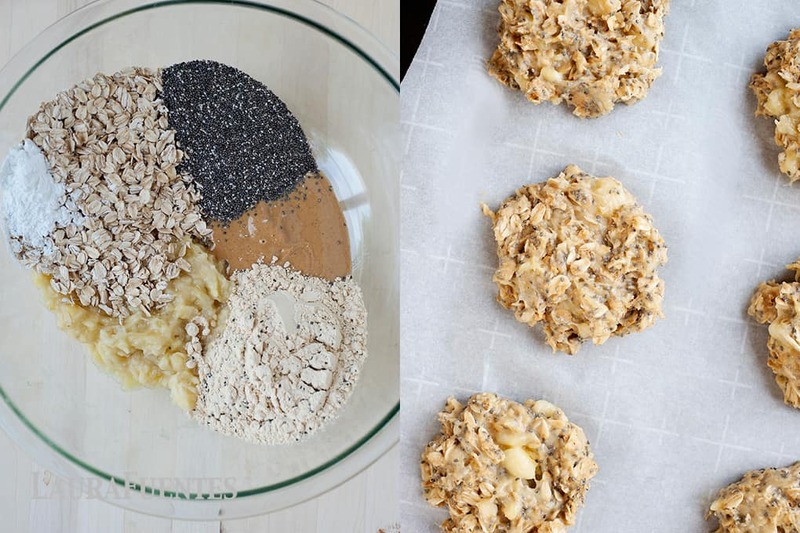 They are super simple to make, and they are high in protein, fiber, plant omega 3s, iron, vitamins, and minerals; so this is one cookie you can feel really good about sending in your kids’ lunchboxes. 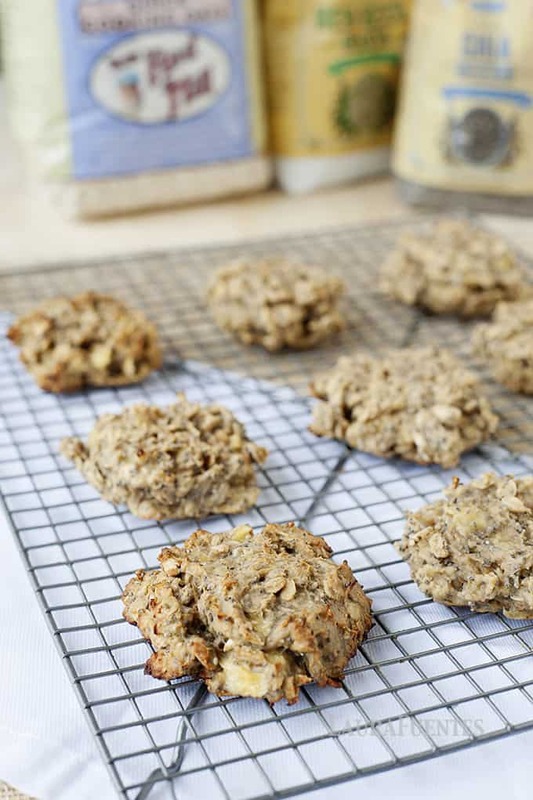 The soft & chewy texture and vanilla flavor makes this cookie one your kids will ask in their lunchbox often. 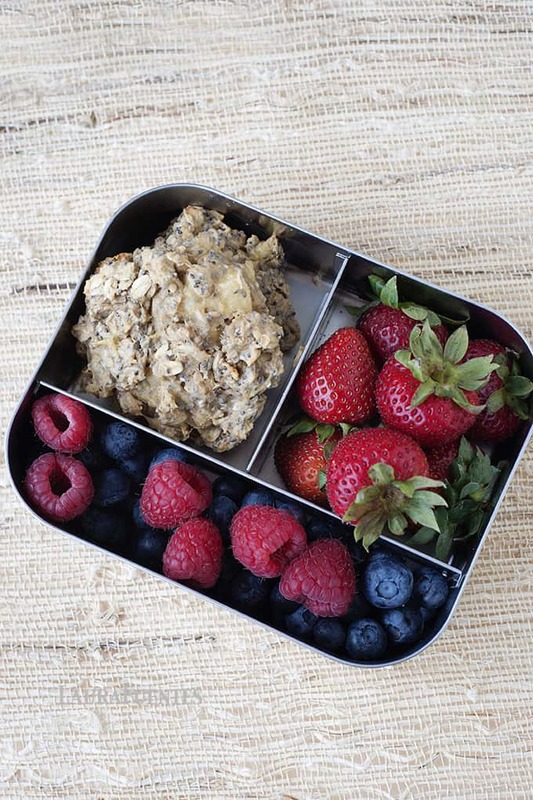 What is your favorite nutritious baked snack to pack inside a lunchbox? In a large bowl, combine mashed banana, peanut butter, vanilla, and baking powder. Add protein powder, oats, hemp seed hearts, and chia until everything is combined and you have a thick batter. Scoop 1 tablespoon sized mounds onto the k,lined baking sheet. Press down with your fingers or a fork to shape dough into a cookie. Bake for 10-12 minutes. Remove from oven and allow to cool down to room temperature. 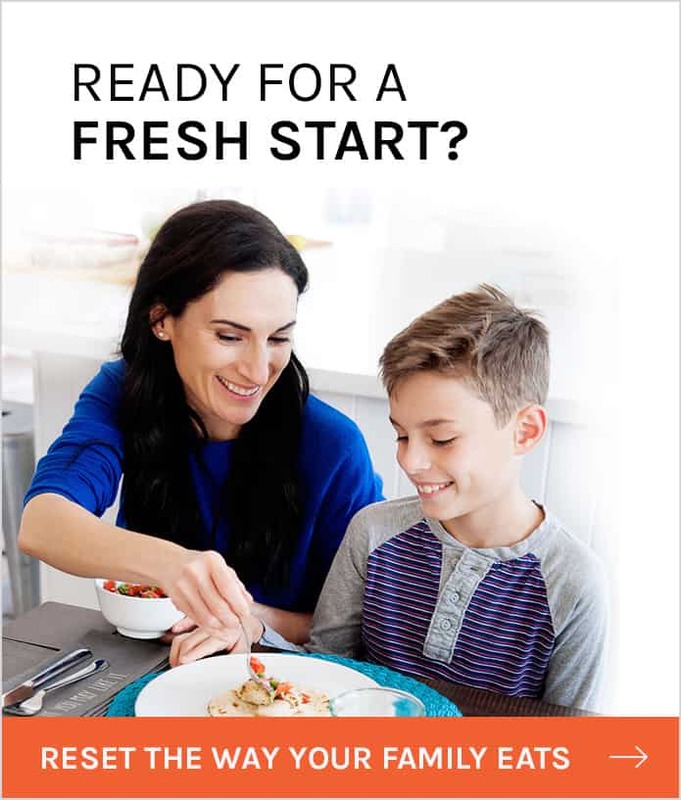 Refrigerate leftovers for up to 4 days. I make “toddler muffins” which have pureed fruit and veggies in them. They are low in sugar and just so darn delicious. I make 3 batches at a time and freeze them for the kids. So good! 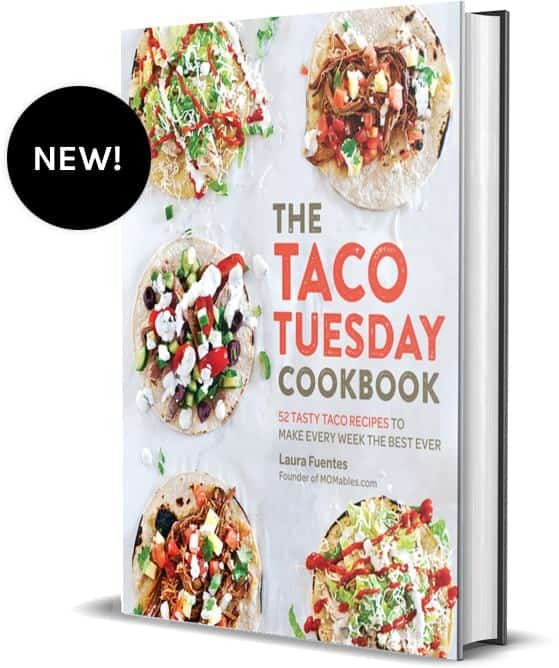 How would this recipe do in the freezer? I’d like to make extra to have on hand. I’ve frozen the dough many times. All you have to do is thaw, bake, and enjoy! This looks so healthy!! Would it be possible to sub out bananas for pumpkin?